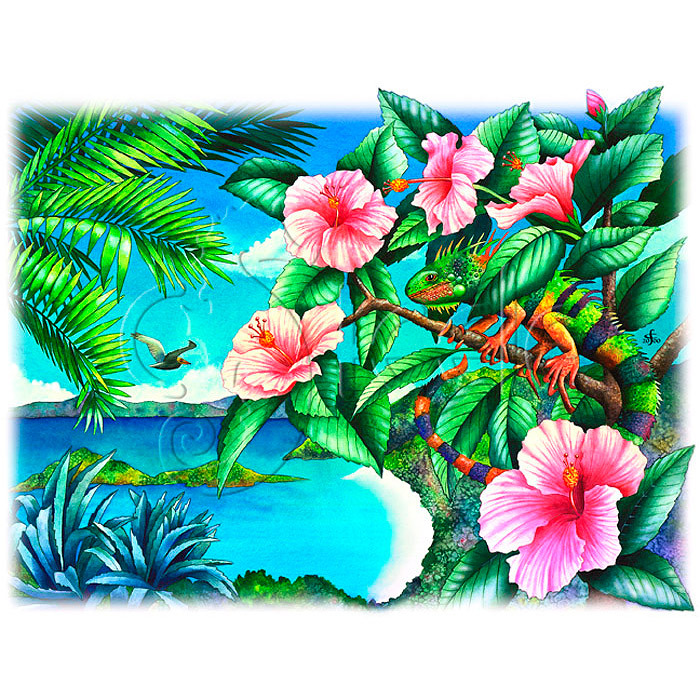 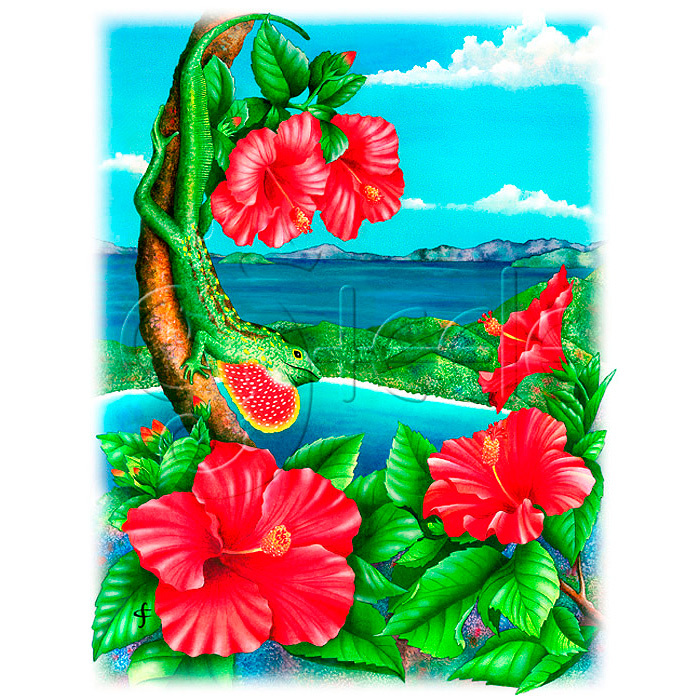 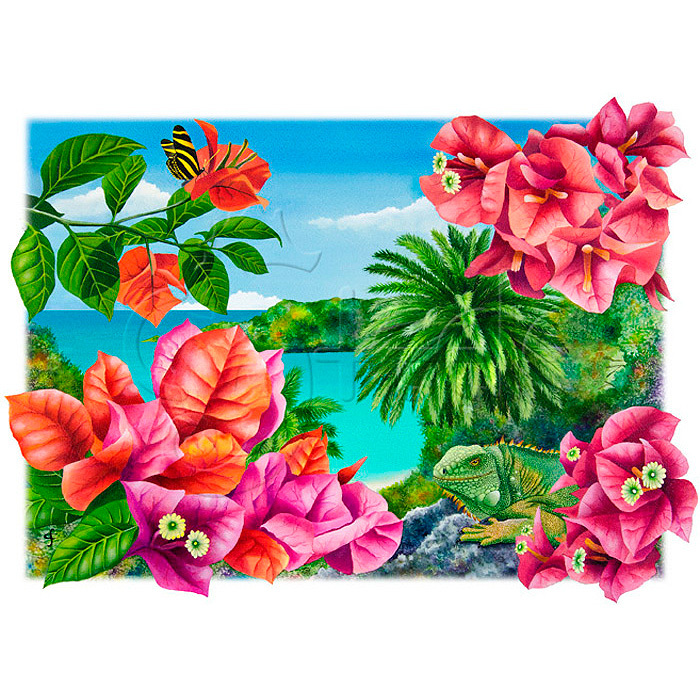 A colorful iguana lurks in the branches of a hibiscus bush overlooking Trunk Bay, St. John. 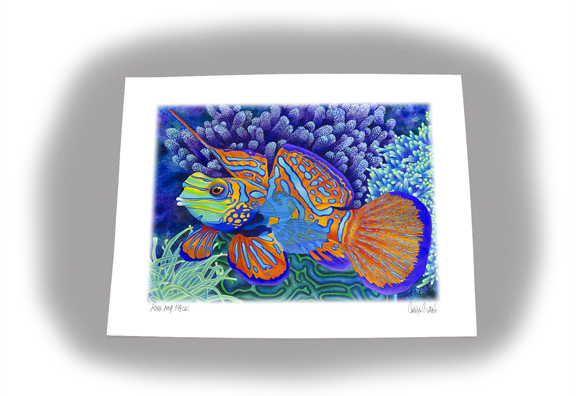 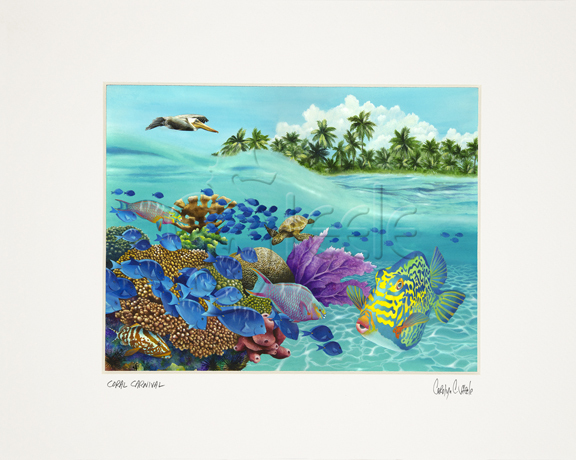 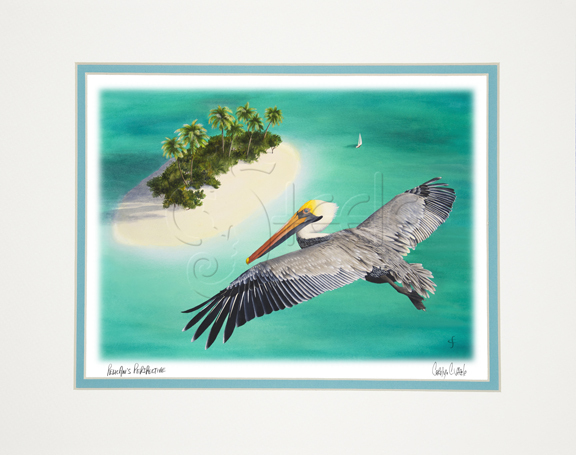 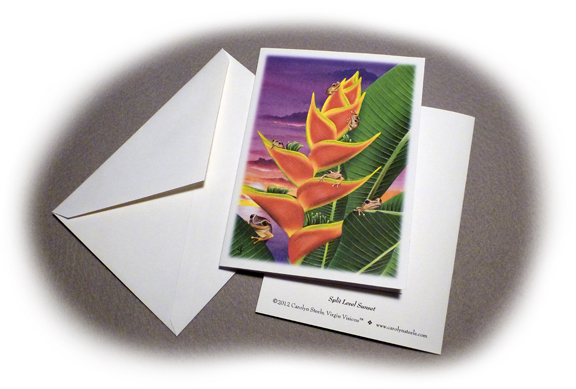 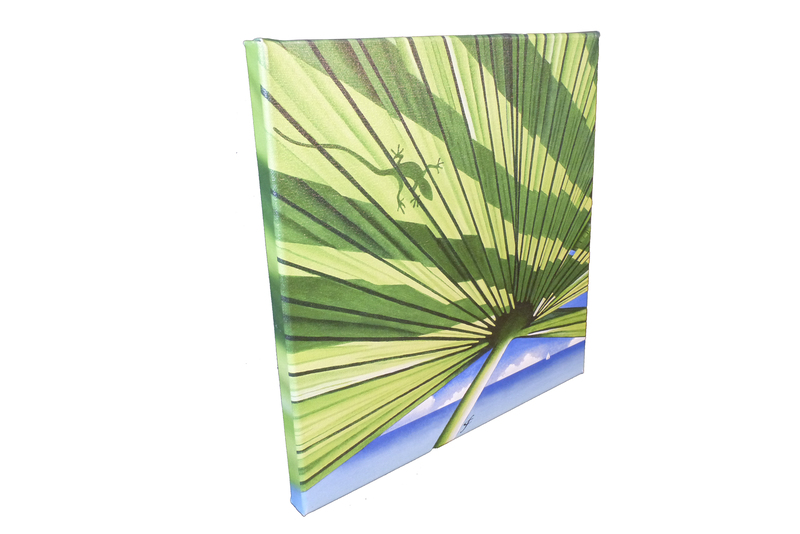 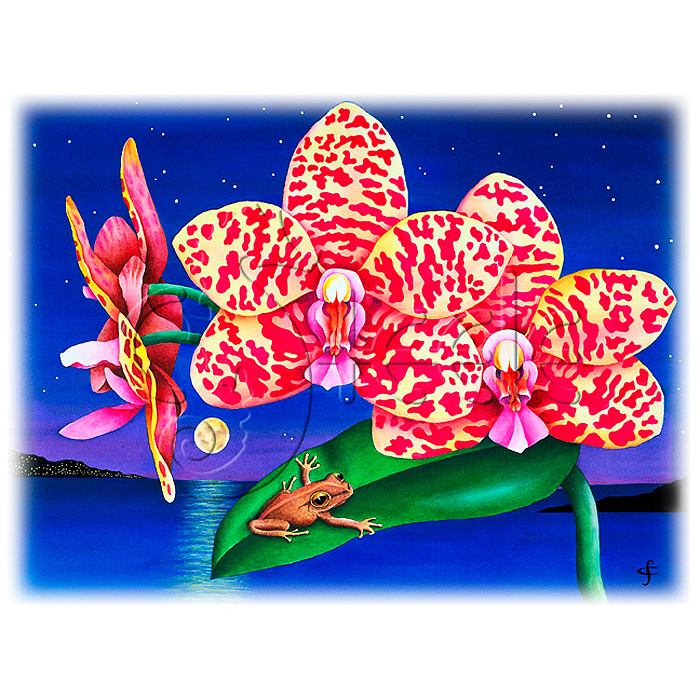 Available in various sizes of matted and unmatted prints, canvas gicleés, and notecards. 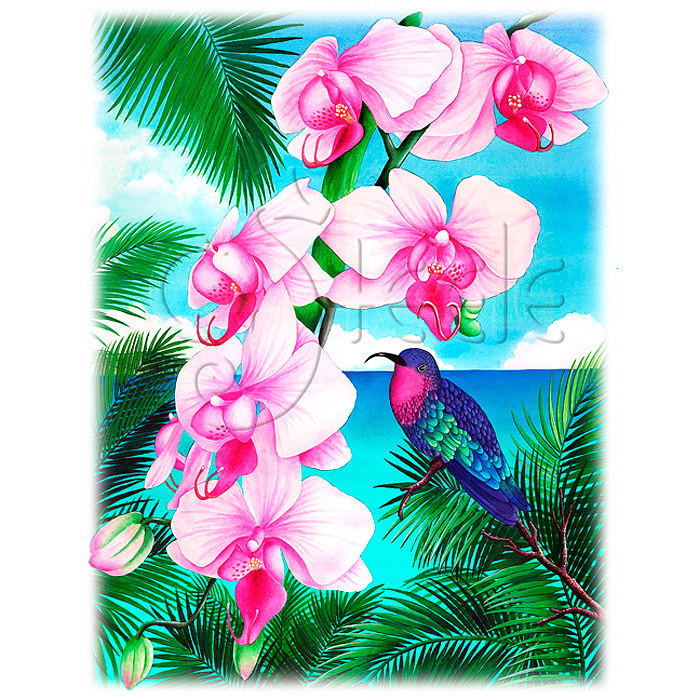 Please use the product drop-down menu below to see what art products are available for this image.